If you have laughter lines or the dreaded wrinkles, which you would like to improve this massage is for you. Regular treatments are really helpful to retain a youthful look. Natural Lift Facial Massage incorporates a unique blend of highly effective techniques drawn from both Japanese and Indian Face Massage (Indian Face Massage is also known as Facial Rejuvenation or Natural Face Lift) with complementary techniques from Japanese Facial massage, and also Acupressure and Reflexology for the face.In the East, beauty is considered equal to the optimal state of health. Even the most attractively shaped face cannot be beautiful if the person is not well, as health and beauty are not separate. When a person glows with radiance of true health, nothing else is necessary for genuine beauty. Oriental medicine teaches that there are three major factors to true health: physical, psychological and spiritual health. According to this ancient tradition, beauty arises naturally if a person can bring these three factors into harmony. The intent of Natural Lift Facial Massage is to help prolong this natural, true health and beauty and to prevent disease. Muscles: Our facial muscles are in constant use from smiling, frowning, crying, eating, yawning etc. Over time this can cause accumulated tension which restricts the blood vessels causing reduced blood and lymph circulation to the facial tissues. This in turn prevents the efficient removal of waste products and reduces the amount of oxygen and nutrients being received. This massage reduces muscle tension and improves the flow of blood and lymph. Nervous System: Touch has an immediate and beneficial effect on our emotions. Our nervous system governs the way we react to our environment and regulates our bodily systems. Natural Lift Facial Massage can help to calm and soothe our nervous system, aiding relaxation and promoting a positive outlook as well as balancing our bodily functions. Circulation: Natural Lift Facial Massage boosts lymphatic drainage and blood circulation. The lymph vessels are very close to the skin’s surface and gentle stroking used during this massage has a major effect on improving saggy, puffy and grey skin. Skin: Our skin is made of connective tissue formed from elastin and collagen. These weave together and form a flexible webbed structure. Over time and as we age these fibres lock together and the skin loses its elasticity. This massage helps to promote lost skin flexibility by gently toning these fibres and promoting suppleness and mobility. Dead cells are loosened and shed, exposing fresh new younger cells. The increased temperature of the skin relaxes the follicles and pores. This helps absorption of the massage oil or product and this in turn softens the skin. 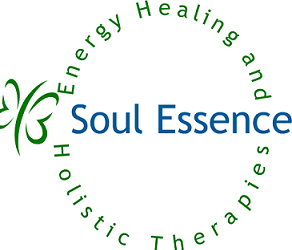 Energy: The universal life force is also known as ‘ki’, ‘chi’ or ‘prana’. There are energy centres and meridian lines all over the body, and the flow of energy over these centres and through these lines has a real effect on health and well-being. This massage helps to balance these energy centres by using finger pressure on the facial meridians and pressure points, helping to release any blockages and bringing a new flow of energy in the body’s energy system. £35 for approximately 45 minutes this can be combined with Luxury Natural Face Treatment £60 for approximately 1 hour 15 minutes.